Pat moved from Iowa to Cupertino in 1967. She begin working for HP in 1969 and retired in 1999 with 30 years of service. Most of her career was spent in Human Resources, working in a variety of functions and entities. 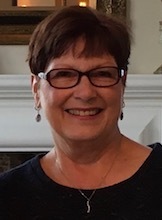 Pat has spent her time since retirement pursuing her passion for travel, movies, reading, cooking, attending to her more than 30 rose bushes, and spending time with her two grandsons. In 2016, Pat started attending lectures at the institute, which she finds fascinating. In the fall she will become a member of the board for the HP Retiree Club. The Institute for the Study of Western Civilization seeks to improve our collective understanding of how we in the twenty-first century came to be who we are; why we think the way we do; what assumptions about the world and human nature are traceable back to earlier periods in the five-thousand year story of Western Civilization.